This week I actually started decorating for Christmas!!! I am usually one of those people that hates skipping holidays, but this year we are expecting #5 at any point in December… so there may not be a lot of time to decorate at all. That doesn’t mean that I will totally skip Thanksgiving though. 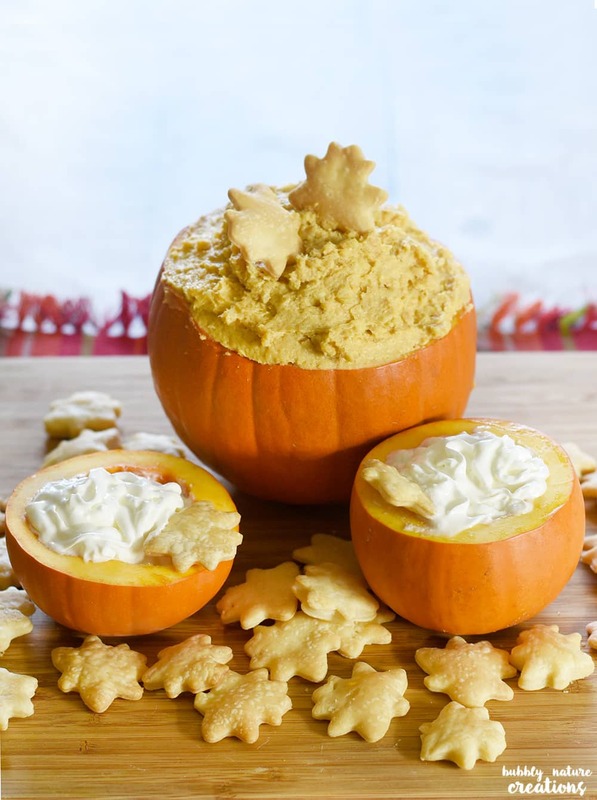 This pumpkin pie dip is something that is so easy to make and is perfect for the holidays! 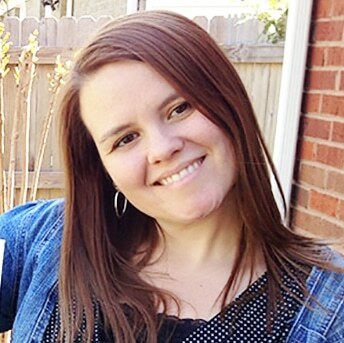 If you like a whole lot of pumpkin pie or just a little… this recipe is for you! 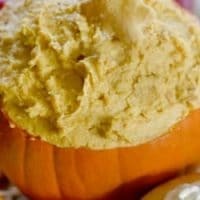 I used real pumpkins for this dip and scraped out the insides to put the dip into. Then I used some small pumpkins to put some whipped cream into for a topping. Lastly I made some pie chips just using some roll out pie dough and baking it up nice and crispy! So easy and everyone will love eating pumpkin pie this way! pumpkin pie chips using refrigerator pie crust rolled out and cut into chip size pieces or cut out with a cookie cutter and baked at 400 for around 15 minutes or until golden brown. Can also serve with cookies I used a leaf cookie cutter, pretzels etc. 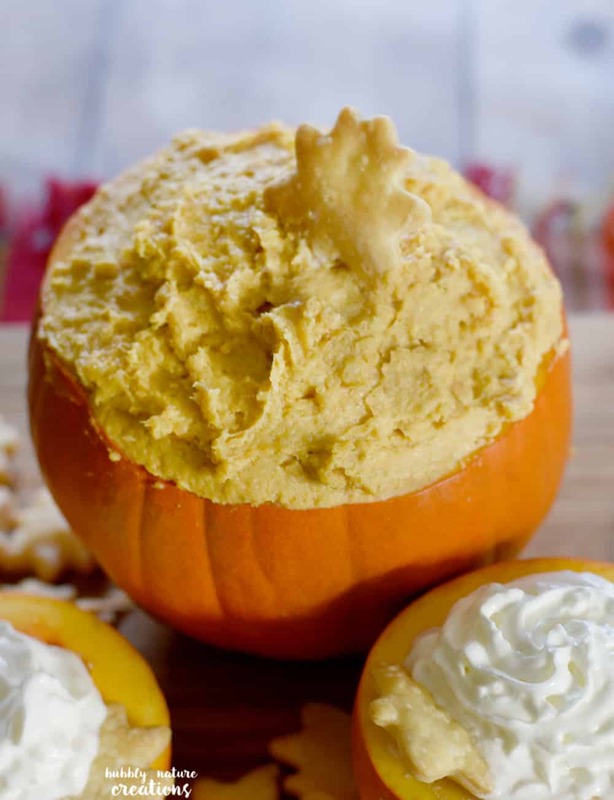 Place fully cooked pumpkin pie and cream cheese into a blender and mix until smooth. There will still be bits of pie crust that make it chunky, but this is the best tasting part! 🙂 Enjoy with pie chips, cookies, pretzels or whatever you like. Gingersnaps are great too. Such an easy recipe and this can even be used with leftover pie too! Just adjust the cream cheese to the amount of pie that you have on hand… so tasty! Enjoy!